“Anthony Auerbach’s installation Empire State Pavilion reflects on one of the most memorable features of the 1964/1965 World’s Fair. Like the New York City Pavilion, which housed The Panorama of the City of New York, the New York State Pavilion contained a miniature representation of the whole state in the form of a giant road map inlaid in the terrazzo floor. 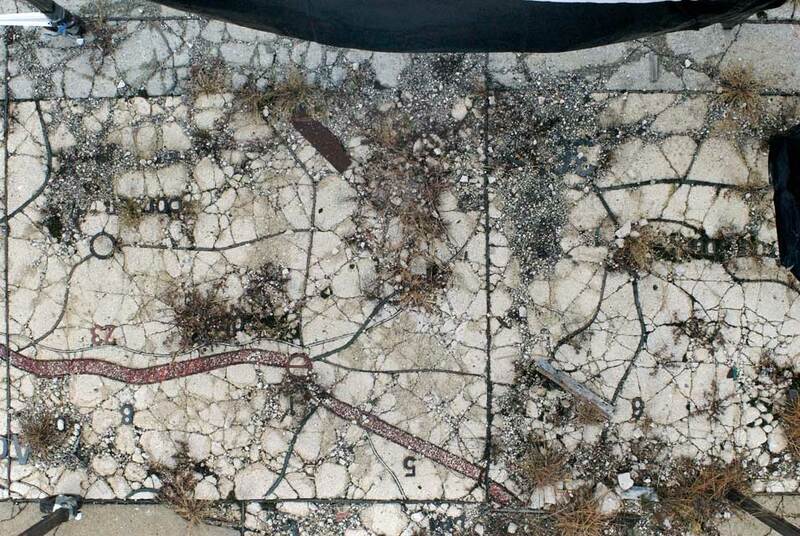 While the Panorama has been preserved and updated over the years, the terrazzo map has been derelict and overgrown. Anthony Auerbach is supported in part by the NYC Department of Cultural Affairs and New York State Council on the Arts.